Quite a month for Brit-rock fans of a certain age, innit? Thus far, we've seen a new Radiohead disc, Liam Gallagher resurfacing with Beady Eye, and even a Primal Scream tour behind the 20th anniversary of Screamadelica (though only in the UK, sadly). Now comes ol' Mad Richard himself. Ashcroft, who'll perform solo at Villa Victoria Center for the Arts tonight (March 24), arrives with the new United Nations of Sound (Razor & Tie). It's a "challenging" record that's befuddled many of the former Verve frontman's fans with its refusal to rehash the elegiac, sweeping beauty and maelstrom of guitar noise that characterized the Verve's classic material. 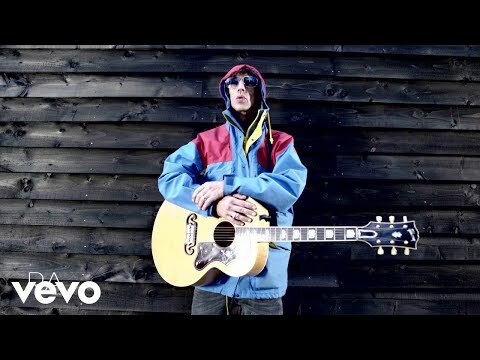 Instead, it finds Ashcroft, like so many older, more-reflective UK songwriters, turning for inspiration to American shores. In some cases, that means a churning, beat-driven tale of globetrotting discovery like "America," an anthemic banger typical of Ashcroft at his best. Other tracks, like first single "Are You Ready? ", are in the strings-driven hip-hop mold he embodied so well in his work with UNKLE. With hip-hop guru No I.D. on board, that influence undergirds much of the album. On the best tracks, it insinuates itself well into Ashcroft's effective soul and Soul searching. Tapping I.D. and strings arranger Benjamin Wright (Gladys Knight, Barry White) was, it turns out, part of a musical-history lesson for Ashcroft. "Life Can Be So Beautiful," for instance, effects a séance for old '70s American funk and soul. 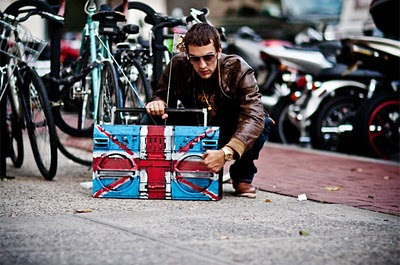 "A lot of the record, for me, was about getting in touch with a couple of generations of American soul, and hip-hop," Ashcroft tells me over the phone from the UK. "That's what the record was about, discovery." Discovery and defiance. "I was trying to blast the genres out of the water. I'm just so tired of needing to put everything in a little pigeonhole. There's a couple of generations now with such eclectic taste that it's become difficult for me to hear anything other than it all combined. I think hip-hop has helped to accentuate that. A lot of the modern-day records that have caught my attention have been made by Kanye, Lil Wayne. People get obsessed about the packaging of it, but on a musical level, I thought a lot of those guys were the few people making something fresh to my ears that's also very popular globally as well." Whether fans are ready for it, as the song asks, remains to be seen. "It's supposed to challenge fans. I think it might be one of those records that people don't know how to gauge it. You go on a different journey, vibe-wise, on an album. People maybe like things like a cheeseburger — it's palatable and tastes the same around the world, and I can understand that. This is about exploration. If you were to play 'America' in a club where it sounds that big, you'd be amazed. That's another part of the record, finding someone brave enough to play it on stations that normally play me, but maybe there's a whole other audience that would appreciate it that would never get to hear me or read about me." It would be a shame if they don't — at least on the best tracks here. Unfortunately, the production and songwriting on United Nations of Sound are occasionally undermined by platitudinous lyrical banner waving. The repetition that worked so well back on Urban Hymn's "This Time" gets overplayed on the redundant "Third Time." Still, Ashcroft sings with power and emotion, lyrics be damned. One listen to his voice cracking toward the end of "This Thing Called Life" is reminder enough of his canonical stature — and reason for the most part to forgive any missteps.